Lining your patio can give a warm, contemporary feel to your entertaining area for your family and loved ones to enjoy. There are many materials to choose from such as on-trend wood lining, which adds texture to your space and looks extremely luxurious when paired with down lights. For top quality, lasting results, contact Sustain for Lining Patios in Perth. 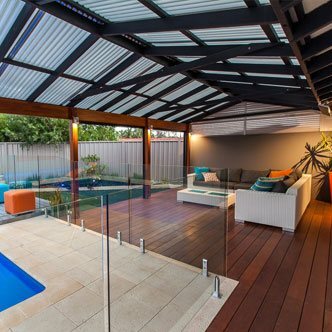 Timber patios are a beautiful and versatile addition to your home. With a variety of different natural materials available, you’re sure to find a timber to suit your project perfectly. With over 25 years experience, Sustain will build you a stunning timber patio to enjoy for years to come. 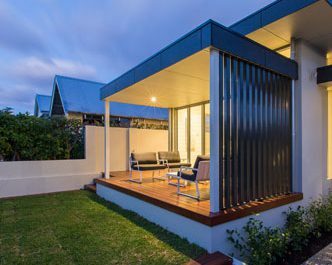 We specialise in designing, fabricating, and installing the most functional and stable steel patios in Perth, custom to your needs. 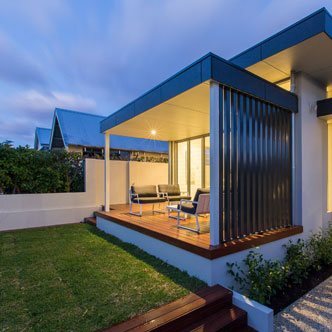 Not only are our steel patios among the highest quality in Perth, they are also aesthetically impressive and will be a valuable addition to your home. 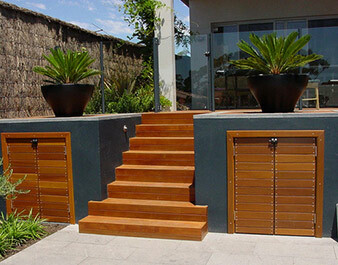 Sustain are the leading custom patio providers in Perth. 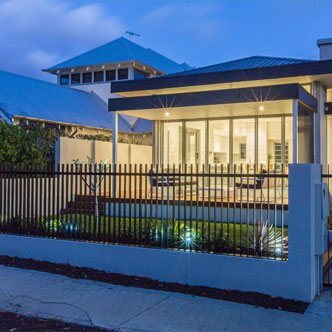 Our commitment to creativity and innovation allows us to create custom Perth patios that will seamlessly align with your existing home. 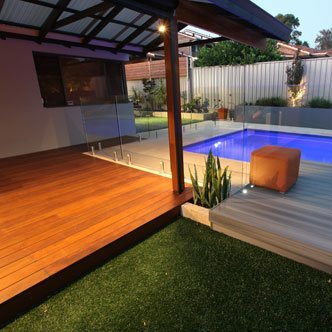 You can modify almost every aspect of your patio including the material used, the shape, colour, and even lining. These customisable extras ensure that your patio does not look like an afterthought, but like it was built to be apart of your home. 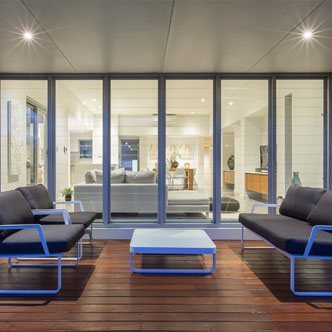 Whether you choose a luxurious timber patio to bring the outdoors in, or a modern steel patio, all the material used will be of the highest quality, as will the workmanship. 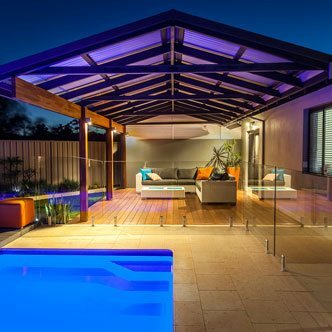 We guarantee your patio will be built to withstand Perth weather, from storms to heatwaves, so you can enjoy your outdoor entertaining area for years to come. We can customise the shape of your patio roof to align with the existing structure, which is particularly important when considering homes with difficult rooflines, or multi level structures. This creates a smooth transition between existing and new structures. We can also customise the roof material it self, alternating between solid Stratco steel and clear panels, allowing natural light to penetrate. Whatever your taste and style, Sustain can help you choose the exact patio that is right for you, and will do the heavy lifting from the design and planning phase all the way through to clean-up. All you have to do is sit back and enjoy your brand new outdoor entertaining area. 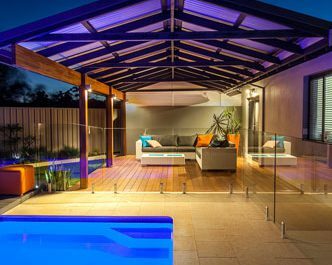 Contact one of our expert staff for a quote or for more information about how we can help you create your perfect custom patio in Perth.